Tunba village locates 200km west of Lhasa. It is the home of TIbetan language because Tunmi Sangbuzha was born here. 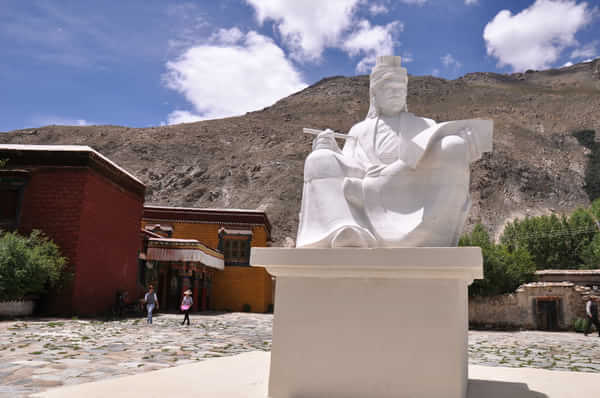 He is the founder of Tibetan language. In Tang Dynasty, Songtsen Gampo sent eight students to India for study. 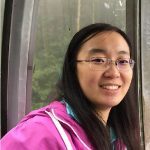 Sangbuzha was one of them. However, only he succeeded while the others died on the way. 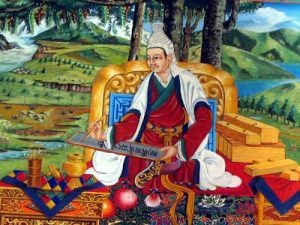 He brought Sankrit and invented the original Tibetan language based on that. Moreover, he translated many classic works and started Tibetan Buddhism scriptures. 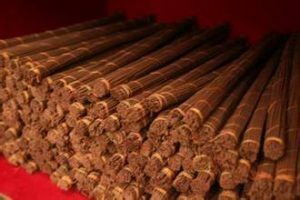 Beside of language, Tunba village is also the home of Tibetan incense. Its Nyemo incense is famous in Tibet. And it is one of “Nyemo Three Great Things”. The other two are Tibetan paper and relief sculpture. Cypress is the main ingredient of Nyemo incense. And there are more than 30 kinds of spices, such as saffron, musk, sandalwood, and etc. The incense can purify the air, prevent illnesses and strengthen sleep. Moreover, In Tunba village, there are more than 160 houses produce it. So the economic benefit is very good. In 2013, Tunba village has won the name of “The most beautiful village in China”. And over 50 million people’s voted for it. After that, the tourism is developing very fast. So it attracts many tourists every year. For more Tibetan village tour and cultural tour, please visit our local Tibetan travel agency (www.tibettravelexpert.com).